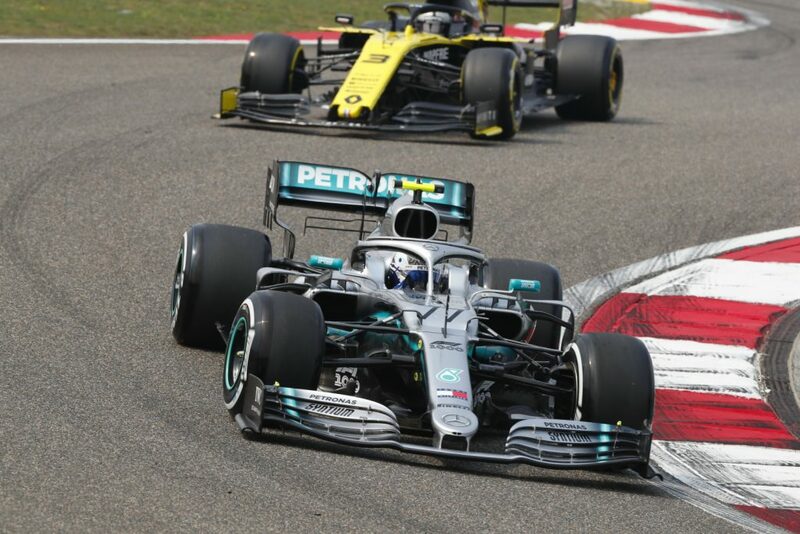 Chinese Grand Prix – Mercedes’ Valtteri Bottas has ended final practice in China as the quickest man, with FP3 ending a few minutes early due to a heavy crash for Toro Rosso’s Alex Albon. Valtteri Bottas has set the pace in FP3 ahead of qualifying at China’s Shanghai International Circuit. The Mercedes man put in a 1:32.830 in the closing stages of the session to take top spot, wresting it away from Ferrari’s Sebastian Vettel. 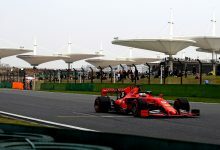 Vettel had set the initial pace on the Soft tyre, with Mercedes opting to do their first flying laps on the Medium tyre. 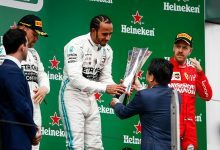 Both Bottas and Hamilton were able to lap well within a second of Vettel’s best time and, with Pirelli saying the tyre delta between the Medium & Soft compounds being around 1.1 seconds, it suggested Mercedes had the pace to go quicker. Taking on the Soft tyres close to the end, Bottas put in a clean lap to take top spot but Hamilton made an error on his run and ran wide at Turn 6. He had to settle for P4 as a result when he put in a lap on the second attempt on those tyres. However, Vettel’s P2 time was also compromised as he made an error through the final corner and compromised his exit speed. This means that the 0.392 second gap between him and Bottas could be quite a bit smaller. Charles Leclerc was P3 in the other Ferrari, just 0.026 behind Vettel. 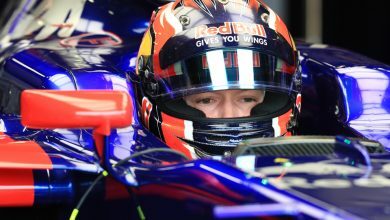 The session was curtailed by an accident for Toro Rosso’s Alex Albon. The Italian team looked quick throughout FP3, but Albon appeared to overstep the mark a little at the final corner. Running wide over the kerb, he tried to keep the power down but lost the rear of the car. Smashing sideways into the barriers, it was a hefty crash that saw the red flags immediately deployed. With five minutes left in the session at the time, Race Control elected to end the session on the spot. 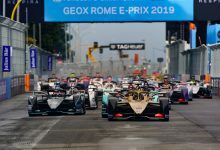 Outside of the frontrunning Mercedes/Ferrari battle, it was Nico Hulkenberg’s Renault in P5 as he continued to underline the French team’s impressive pace early this season. Kimi Raikkonen, having been down in the last quarter of the field for most of the session, vaulted up to P6 on the Soft tyres just prior to the red flag, going two tenths clear of Max Verstappen’s Red Bull on the same compound. Carlos Sainz was P8 for McLaren, while Albon finished the session classified in P9. 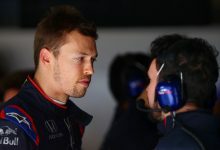 Teammate Daniil Kvyat was P10 in what was an encouraging session for Toro Rosso, despite Albon’s misfortune. Lando Norris led the bottom half of the field in P11 for McLaren, ahead of Racing Point’s Sergio Perez and Renault’s Daniel Ricciardo. 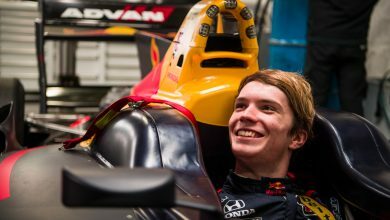 Lance Stroll was P14, with Pierre Gasly a disappointed P15, although his best time was set on the Medium tyre. 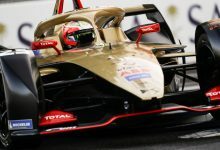 Antonio Giovinazzi, having missed a large chunk of practice on Friday, was P16 for Alfa Romeo, with fellow Ferrari customers Romain Grosjean & Kevin Magnussen P17 & P18 respectively in a troubled session for Haas. 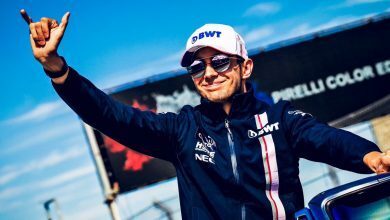 Williams rounded out the order with George Russell & Robert Kubica in P19 & P20.